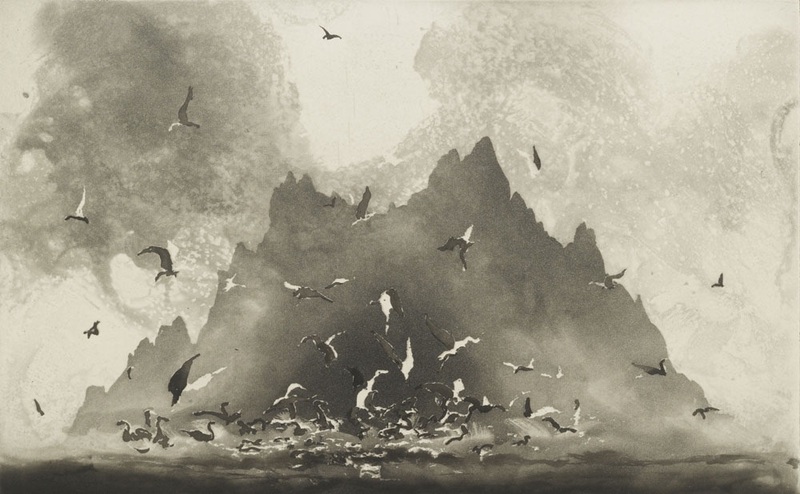 Another fellow Yorkshire native this week, Norman Ackroyd is another love of mine. I didn't know anything of him or his work until I watched a BBC documentary called 'What Do Artists Do All Day?'. Norman works and lives in an old docking building in Bermondsey, London. I admire Ackroyd's sense of self and hard work; he's up at 5am every morning, porridge, coffee, hard graft. Simple routine that produces results. But perhaps more importantly, I love his work. He produces these prints through a process of Aquatint, etching onto copper plates and applying a solution to create varying textures and marks. I love the skill, precision, details, individuality and sense of place of the print. I love how calm they make me feel and how Ackroyd captures the grandeur, cruel beauty and majesty of nature.